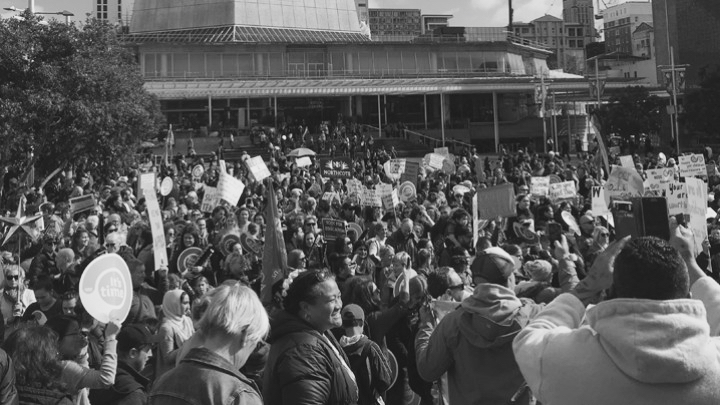 In the last year, New Zealand has seen tens of thousands of workers go on strike and challenge the Labour government’s austerity policies. A coalition government led by the Labour Party unexpectedly claimed electoral victory in 2017 after what seemed like an eternity of the right-wing National Party, in power since 2009. Labour campaigned on a platform of restoring workers’ rights, tackling child poverty, climate justice, prison reform, rebuilding the welfare state, and investing in health and education. Yet in a campaign that seemed to signal an end of austerity, the Labour Party also signed up to a self-imposed “budget responsibility agreement.” As a result, after two years in office, the transformational change that many expected hasn’t arrived. But workers like Elizabeth Alice are not waiting. Over the last year, New Zealand has seen strikes among thousands of workers who have not walked off the job for over twenty years. Nurses, teachers, midwives, and government workers have been the most prominent. But while many have been in the public sector, starved of funding and wage growth over the last decade, low-wage workers in cinema and fast food have also struck, as have bus drivers across the country, where minimum wage increases have lagged behind the cost of living. Engineers at the country’s airports have also threatened strike action at the business time in the year around Christmas. And early this year, 3,300 junior doctors are poised to take industrial action. The strike has returned to New Zealand. Strikes have been a major feature of New Zealand history, defining the course of the nation’s trajectory over the past two-hundred years and occurring at key turning points in New Zealand’s political and economic history. In 1821, Maori timber workers employed by Europeans refused to work until they were paid for their labour with money or gun powder. Among the first settlers in 1840, Samuel Duncan Parnell refused to work more than an eight-hour day, sparking the eight-hour-day movement in the country. In the late nineteenth century, as settlement expanded and industries developed on the country’s mines, waterfronts, forests, and farms, workers formed the first unions and took the first mass actions. 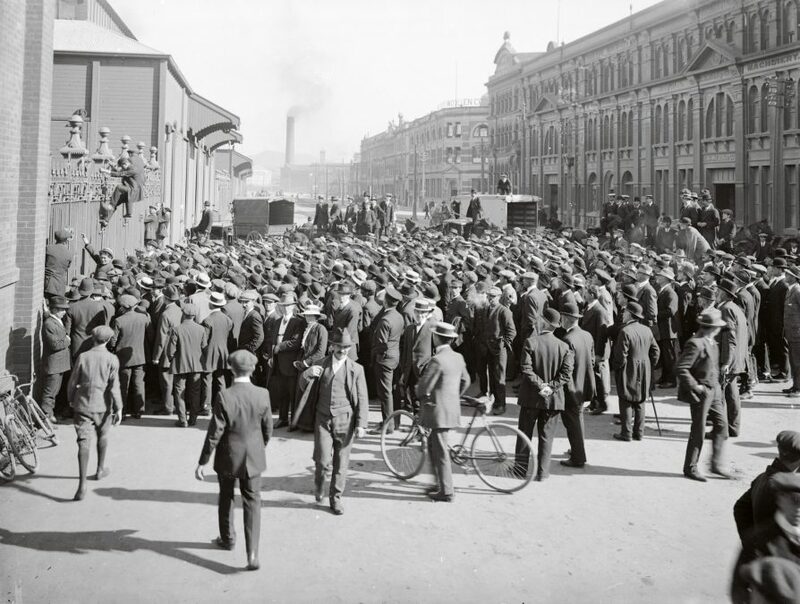 While the state introduced arbitration measures to reign in union militancy, workers grew increasingly frustrated with the limits imposed by the system and, influenced by global labor currents such as the Industrial Workers of the World (IWW), chose direct action and industrial unionism, threatening New Zealand’s reputation as a “working man’s paradise” and as a “country without strikes.” But the upsurge in union militancy proved short-lived. In 1912, striking miners in Waihi were defeated and driven out of town, with one worker beaten to death by police. In 1913, the “Great Strike” closed factories, ports, and mines and lead to street battles between unionists and police. It was the closest New Zealand came to a revolution, but it ended in defeat for workers. The 1913 Great Strike saw 15,000 workers walk off the job over four months. But the long-term result was the gradual development of a social-democratic party, the Labour Party (whose leadership was made up many of those leading the strikes of the early twentieth century), which finally won an election in 1935, during the Great Depression. The Labour Party was the most radical party of its kind in the English-speaking world and introduced a broad Keynesian program of social security, universal health care, the welfare state, and compulsory unionism. Unions became part of the state apparatus and, bolstered by legislation and compulsory membership, played a significant role in the wage growth of the period and the minimal gap between rich and poor that defined these boom decades. Apart from the 151-day waterfront lockout of 1951, the period after 1935 was quiet for workers, especially during the of buoyant global economic conditions that gave rise to what New Zealanders referred to as the “golden weather” years of the postwar period. But as economic growth slowed and profits declined in the 1970s, workers increasingly took direct action to resist the erosion of wages that the Keynesian economic system could no longer guarantee — a development that shaped the US labour upsurge in the same decade. The 1970s and 1980s saw the highest number of working days lost to strikes in New Zealand history. Today, with quiescence among workers the new normal, we tend to forget the importance of trade unions in the political world of the 1970s and 1980s. Across the world, unions toppled governments, were at the center of key ideological battles about the future of economic policy, and became involved in political and social movements. In New Zealand, as elsewhere, workers also struck in solidarity with other workers and international social justice movements. For example, the Federation of Labour (FoL) acted against the Vietnam War and played a vital role in persuading the Labour Party to take a stronger stance on opposing the war and New Zealand’s involvement in it. In 1976, the FoL imposed a five-week ban on handling cargo to and from South Africa following the Soweto Uprising, just one of many examples of the unappreciated role of unions in the global anti-apartheid movement. In 1978, when Māori protestors were evicted from Bastion Point, workers in the country’s meat plants walked off the job in protest. But union militancy failed to survive into the late 1980s and 1990s as a neoliberal policy revolution introduced by both National and Labour Parties fundamentally transformed New Zealand society. Forced to reckon with a swiftly changing political and economic environment, unions retreated and were undermined by legislation that removed their legal rights and ability to strike. These developments, which have parallels across the world, heralded the beginning of emerging trends in the world of work: falling union membership, labour’s declining share of income, rising inequality, and increasingly precarious employment. New Zealand embarked on a radical experiment with neoliberalism. While inequality rose everywhere in countries that adopted such policies, it rose fastest in New Zealand. While the strikes of 2018 have longer term causes going back to the 1980s, the more immediate issue was the last decade of neglect. The National Government (2009-2017) introduced anti-union legislation, repressed wage growth, under-funded public services, and stood by as housing prices and the cost of living fast outpaced wage growth. The National Government instituted a wage freeze for public-sector workers, removed the right to tea breaks, introduced ninety-day “fire-at-will legislation” and removed the duty on employers to bargain with unions. Encouraged by these developments, employers took the opportunity to attack unions. Lockouts at meatpacking facilities and the ports were an attempt by companies to casualize and de-unionise the workforce clearly reflected the new mood. But while port workers and meat workers staged strong campaigns against the companies, their fight was largely a reactive one to maintain the status quo. And then after nine long years, the government changed. 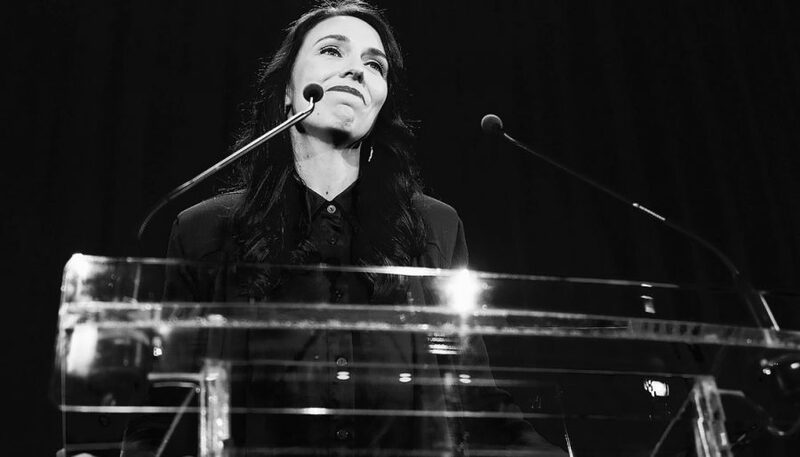 Jacinda Ardern’s election in 2017 was greeted with high expectations from organised labour. The election of the Labour Government in 2017 was welcomed by progressives. But the optimism about the election of the Labour Government has been tempered by specific pre-election promises. In the face of opposition (or perceived opposition), and the attempt to reach out to what Branko Marcetic called the “mythical centrist vote,” the Labour Party agreed before the election to a set of budget responsibility rules to prove their fiscal credentials, an agreement that has been called by critics the “fiscal straitjacket.” To add to this, after an attack ad from the National Party, they agreed to no new taxes until the next election. These developments have hampered any ability to deliver on the kind of transformational change that the government has promised. The Council of Trade Unions president Richard Wagstaff critiqued the government approach of campaigning for fundamental change, while promising continued austerity. But as the new year began, and contracts were up for renegotiation, workers started to demonstrate their expectations of the new government — expectations that didn’t include putting up with austerity. In July, thirty-thousand nurses stopped work, their first strike in thirty years. Just weeks later, twenty-nine thousand primary school teachers stopped work, their first strike in twenty-four years. Four thousand government workers at Inland Revenue (the equivalent of the IRS in the United States) went on strike in the same month, the first time they have taken strike action in twenty-two years. In an unprecedented move, workers at the nation’s airports threatened strikes which would have grounded flights on the two busiest days of the year around Christmas, affecting 120,000 passengers. But strikes were averted as the company backed down on its attempts to claw back key terms and conditions. A common theme across all the strikes was the broader question of funding for essential public services: hospitals, schools, transport. As Elizabeth Alice wrote, the nurses’ strike was for “the future of our public health system.” Louise Green of the teachers’ union said the strike was about pay, against larger class sizes, and the teacher shortage. Why now? Despite the common accusation that workers have waited for a friendlier government, workers were in fact active throughout the previous nine years. While there were few strikes over the past decade, organised labour had some significant wins. The late Council of Trade Unions leader Helen Kelly led a vigorous campaign for health and safety in forestry; Unite Union achieved the outlawing of zero-hours contracts; low wage women fought in the courts to win equal pay for equal work, winning a $2 billion settlement for fifty-five thousand care workers, and a coalition of unions have helped build the growing Living Wage movement. Teachers’ unions, so much a part of the recent actions, were fighting for the very survival of public education over the previous decade. New Zealand teachers went on strike in 2018 for the first time in 24 years. But the election of a more union-friendly government (or at least one with the potential to respond to unions, who are among its support base) has put renewed energy into the union movement. This has no doubt played a role in strikes, especially in the public sector. The Labour Government has put the blame squarely on the previous government for “years of neglect,” and quite rightly, but has not signalled any intention to budge. Unions representing public sector workers have increased their membership to a thirty-year high on the back of successful industrial action and wage increases. And there are set to be more strikes over the next year which will continue to test the government’s commitment to austerity. 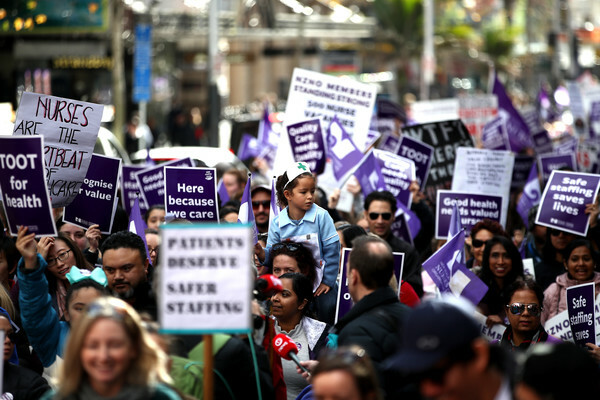 Doctors are now signalling their intention to strike over pay and work conditions. The government’s legislative agenda includes some key promises to the labour movement: increases in the minimum wage and the establishment of “Fair Pay Agreements” across entire industries to prevent the “race to the bottom” and improve the ability of unions to bargain collectively. In other areas, the government’s response on workers’ rights have been disappointing. For example, the Labour Party campaigned to repeal the “Hobbit law” introduced by the previous government, which scrapped a number of workplace rights for film workers in order to appease Warner Bros (one scholar called it “a textbook case of national interests being so comprehensively subordinated to the interests of international capital”). The government has now agreed to keep the law, which means that the working conditions for film workers in New Zealand are far lower than almost any other developed country, a bad precedent for workers in an important New Zealand industry, and for workers in the “gig economy” more broadly. And while workers are challenging wage stagnation and austerity, wider existential issues remain: precarious work, the continuing issue of technology and its impact on workers, climate justice and the “just transition,” and the exploitation of unorganised workers (especially migrant workers) who remain largely out of the reach to organised labour. The ability to strike in New Zealand remains largely limited to periods of bargaining and to issues directly concerning health and safety. Nevertheless, the strikes are a positive sign that organised labour can and will pressure governments when they promise transformational change, especially at a time when the gap between the rich and poor continued to grow at a frightening pace. Whether or not the Labour Party responds over the remainder of their term and into the next election, remains to be seen. This will also depend on whether the wave of strikes is a sign of change in the New Zealand labour movement, or an exceptional “one-time blip of militancy” that will fade as the longer story of union decline continues. As the last mass democratic movement in New Zealand capable of challenging austerity, and one of the few institutions today capable of correcting the great imbalances in the New Zealand economy, labour should keep up the pressure. Ross Webb is a PhD candidate in history at the University of Victoria, Wellington, where he researches how organised labour in New Zealand responded to the political and economic change in the decades between 1975 and 1995. He is a committee member of the New Zealand Labour History Project.